Adjustable latch mechanism allows for field adjustment to customize the fit. In some cases the adjustment is enough that a unit can be used for multiple sizes or threads. Urethane inserts withstand repeated cleaning with solvents and will not swell over time. 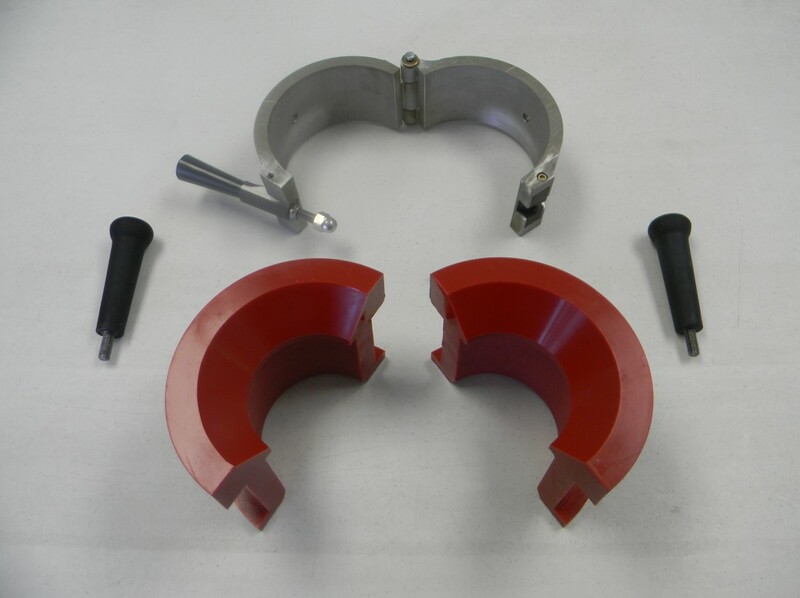 Outer shell will accommodate multiple size ranges of urethane inserts, which can be purchased separately at a greatly reduced cost relative to a complete unit. 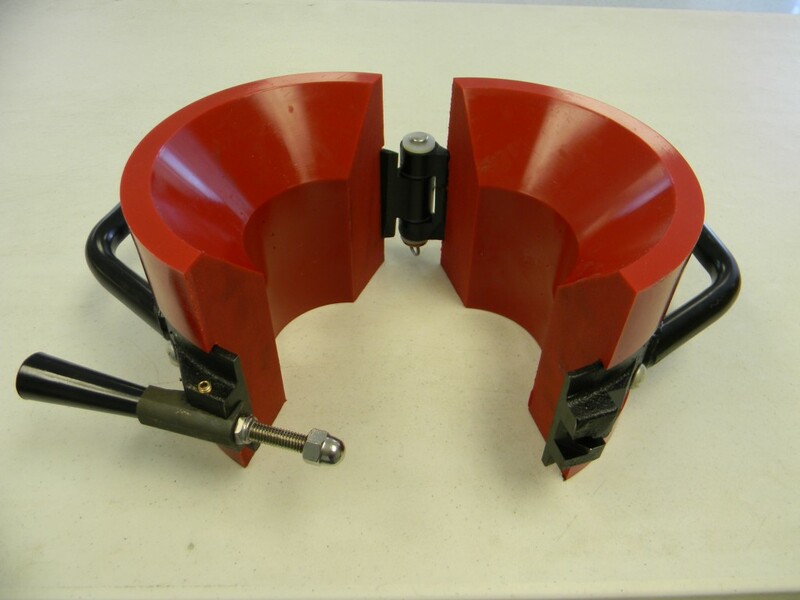 Units are field repairable with parts generally available from local hardware stores, or provided in inexpensive repair kits provided by Stewart Tubular Products. Size #10 Stabbing Guide (our smallest) showing the rugged and simple design. Our larger sizes are similar design with welded on handles for rugged reliability.